Report & Photos: Tinker Schools 'Em at Mt. 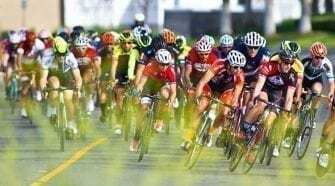 Sac - SoCalCycling.com - Southern California, Cycling, Cycling News, Amgen Tour of California, Bicycle Racing, Fun Rides, Cycling Event Schedules, Mountain Biking, Cyclocross, Cycling Photos, Cycling Videos, Interviews, Product Reviews. Mountain bike racing legend David “Tinker” Juarez taught the kids a thing or two at the Mt. SAC Fat Tire Classic presented by SC Velo. If class had been in session, he would have been the dignified man at the board in the front of the room wearing a bow tie and tweed jacket with leather on the elbows, holding an unlit cherrywood pipe in one hand and a piece of chalk in the other. “And this, students, is your lesson for today.” If, that is, professors had dreadlocks. The Fat Tire Classic has been taking place on the grounds of Mt. San Antonio College for some 22 years, making it one of the longest-running races in the sport. For an “off-season” event, a respectable turnout of 164 athletes took to the six-mile course featuring two steep climbs, one harrowing descent and two tunnels per lap. Their eyes were on the prize of beautiful brushed-steel trophies handcrafted by the Mt. SAC Welding Dept. Some came to bring closure to their three-race Triple Crown Series campaign as well. 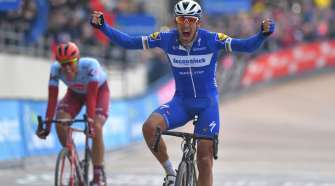 It would have been a surprise had Juarez not dominated this year’s Fat Tire Classic, which was held under ideal racing conditions. Riding for powerhouse Team Sho-Air/Cannondale, Juarez is a multi-time cross-country champion, a two-time Olympian and a member of the Mountain Bike Hall of Fame since 2001. These days he’s nearly unbeatable in ultra-endurance MTB events. Juarez shot out to an immediate lead in the Pro Men’s field and slammed out five laps in just 1:46:35. Finishing runner-up nearly nine minutes later was Alfred Pacheco (Buena Park Bicycles), while Chris Heinrich (The Path Bike Shop) rounded out the podium in third. Pacheco’s performance was strong enough to clinch the overall Triple Crown Series title. Nancy James was in a class of her own at the Mt. SAC Fat Tire Classic—literally. She was the only Pro Woman to participate. Sadly, no Pro Women completed the three events needed to qualify for Triple Crown honors. So instead we’ll give a tip of the helmet visor to Shannon Vandevelde, who captured all three races in the Expert Women Open division. For full results and more, visit triplecrownseries.com. A full photo gallery can be found at pbcreativephoto.com.